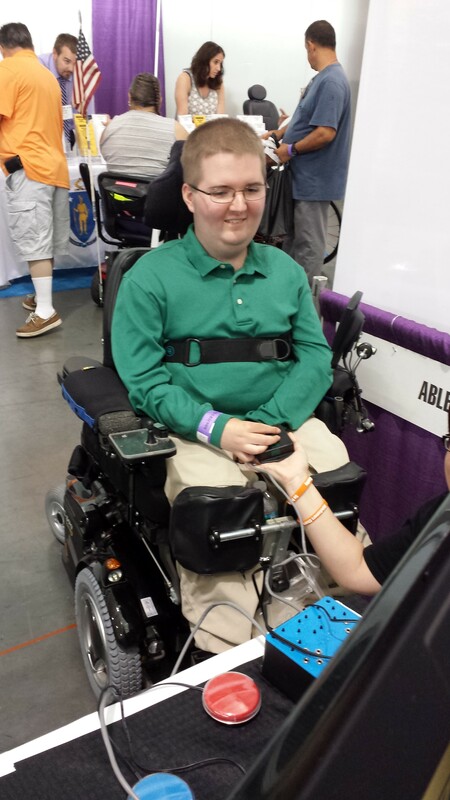 We met our friend Giddeon at the AbleGamers Accessibility Arcade in Atlantic City, New Jersey. 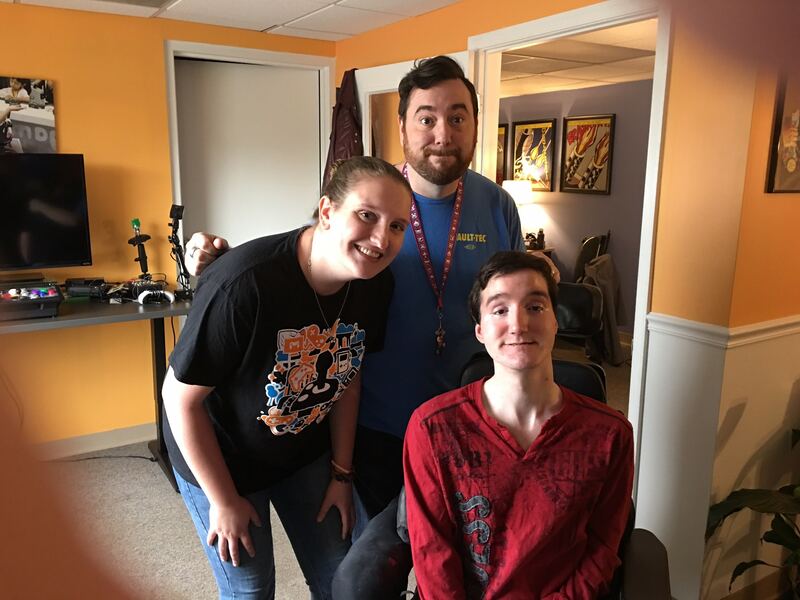 When he first sat down with the AbleGamers crew, Giddeon didn’t want to play any games. 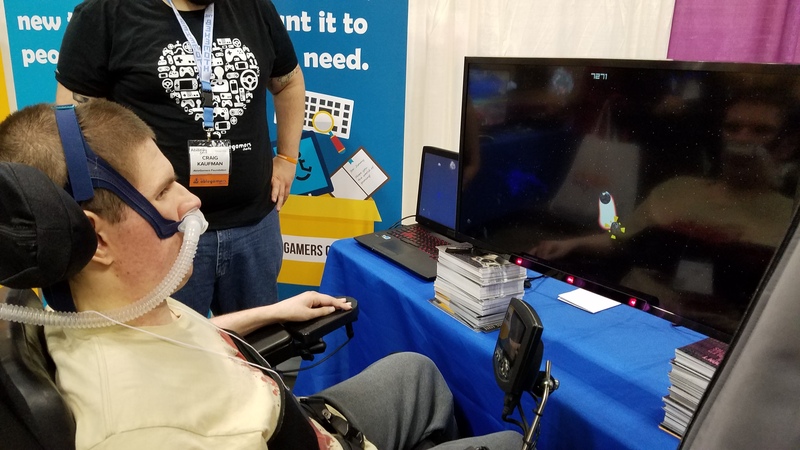 He told us that with his disability, gaming was difficult. 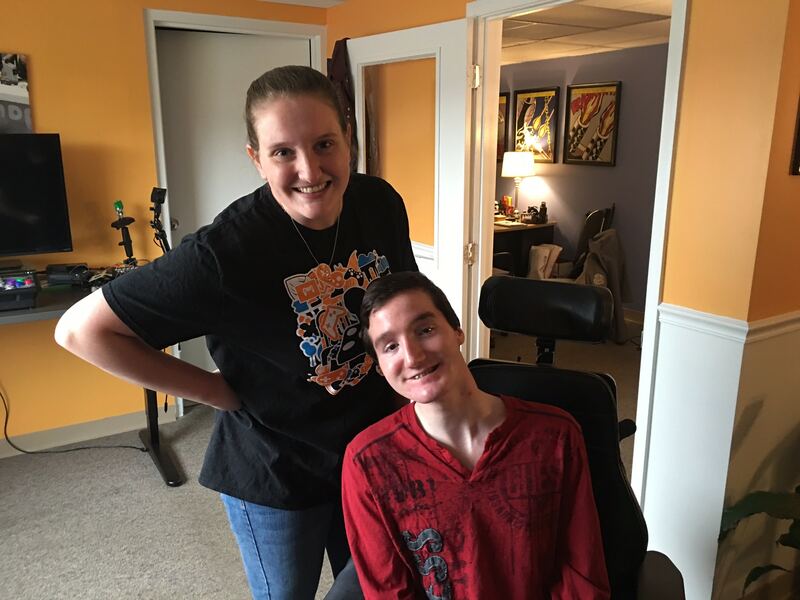 Giddeon has a rare disease that caused stunted growth of his arms and only a few fingers formed, which made holding controllers a challenging experience. 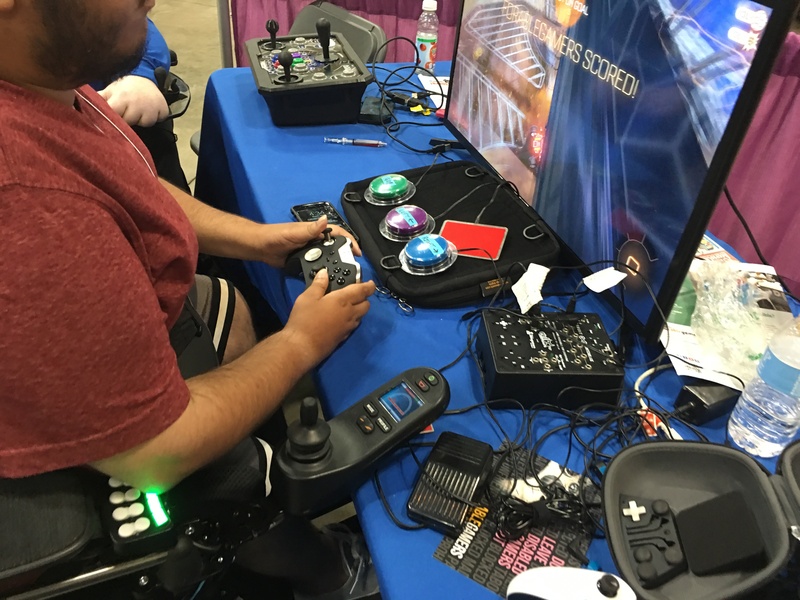 After some encouragement from our staff members, Giddeon sat down with our Adroit controller and Forza 3. Within seconds he was racing past the competition and smiling brightly at his new found driving skills. By the end of that day, he was coming in first place in every race. 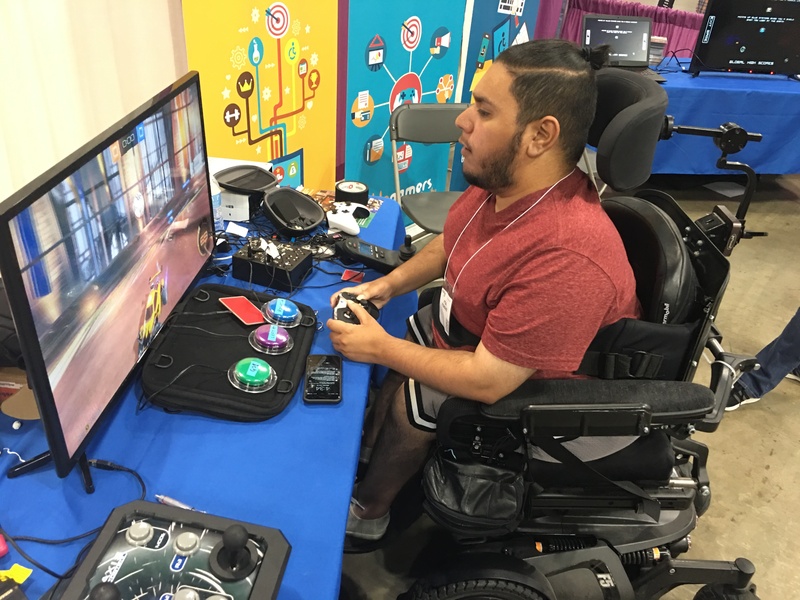 Giddeon had gone from unable to play to a racing circuit champion thanks to some wonderful technology. On our last day, he decided mastering racecar driving wasn’t enough; the next challenge of Fruit Ninja was much more entertaining. The Kinect, a camera-like device that sees human movement as the controller, was fired up and ready to go, but there was a problem. 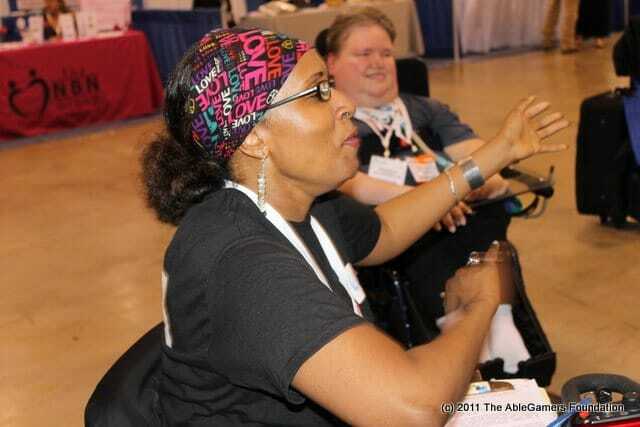 Due to his disability, the camera was unable to see Giddeon’s arms. The look of disappointment on his face was heartbreaking. Just then Mark had a brainstorm. He reached into the packing supplies and pulled out a long piece of thick foam and handed it to the heartbroken gamer. “Try this,” he said with an encouraging smile. Giddeon stepped back up to the Kinect with foam in hand like a baseball bat. The game fired up and the camera finally saw his figure. The fruit was flying as he swung his arms wildly attacking the incoming watermelon with laughter and joy. Off to the side was his mother, a lovely woman sobbing tears of joy at the sight of her baby breaking barriers and having a ball doing it. Mark quietly walked over and put his arm around her shoulder. 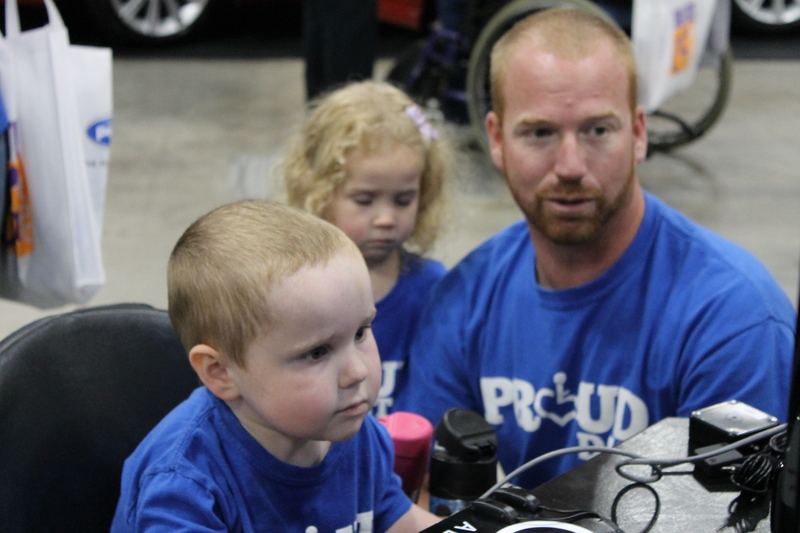 The only words exchanged were a quiet “thank you” from the mom bursting with pride.